I love cheese, and as I and a friend left for our summer home, I visited Fromagerie, the local cheese shop, where I chose some cheeses for us us to indulge in. I bought three different varieties based on goat's milk, two French and two Italian, each with different character and texture. 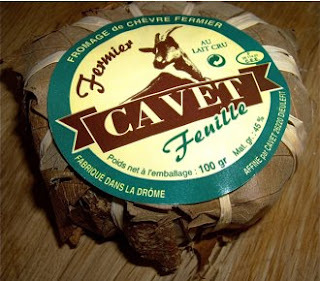 This is a goats cheese from Banon, a community in Alpes-de-Haute-Provence in south eastern France. This region borders Italy. The cheese has a long history and its origins may go back as far as Roman times. It is matured for two weeks and is then dipped in eau-de-vie and wrapped in a chestnut leaf. 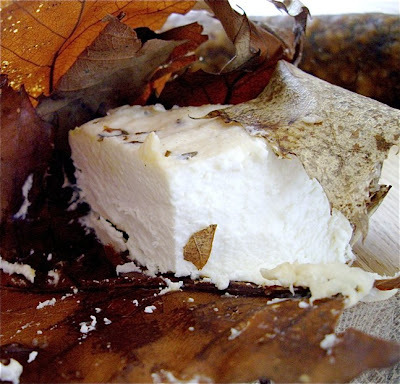 The alcohol prevents bad mould and even the wrapping, chestnut leaf aroma influences the cheese’s taste. It has a remarkably soft and creamy consistensy, and is mild in taste, compared to other goat's cheese. 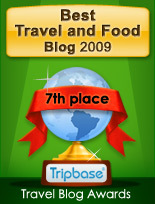 It is therefor more appealing to those of you that does not like white goat's cheese. Another goat's cheese and a completely other world. It is probably the most famous cheese of the Loire Valley. It has been produced for over 400 years in the village of Chavignol, near the wine producing commune of Sancerre. 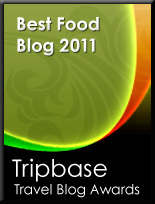 It is a firmer cheese that may enjoyed through all stages of maturity. 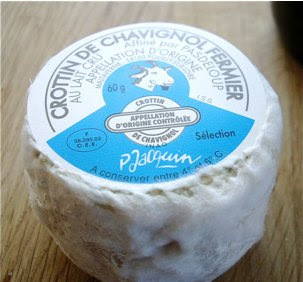 Crottin de Chavignol is moulded then taken out of moulds after 12-24 hours, salted, dried and ripened at least ten days. After 4 months the cheese will have lost 70% of its weight and turned into a richer, more concentrated cheese. We enjoyed it when the cheese was moist, with a white core. It has a stronger character as goat's cheese goes. Great with a glass of chilled white wine. It is also recommended served warm in a aromatic goat's cheese salad. For those of you that love regular mozzarella, may I recommend the cheese made from buffalo milk. It is even richer, creamier, and more delicious. Water buffalos are exotic animals, and has been domesticated in Italy for over 1000 years. They were probably introduced to the mainland from Sicily, and had been brought there by their Muslim rulers. 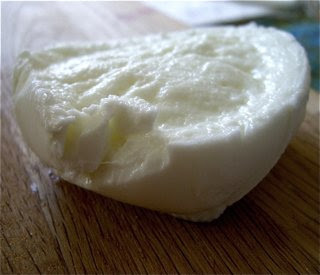 The main region of buffalo mozzarella today is the area around Naples. It is a very soft and creamy cheese with a mild and rich taste, perfect as a part of a traditional insalate caprese or on a hot cheese sandwich. For those allergic to cow's milk, pecorino is a perfect substitute to Parmesan cheese. It has the same hard consistency, a strong salty taste and another bitterness reveals that it has another basic ingredient. Most of the pecorino is produced on Sardinia, and in the regions of Lazio and Grosseto on the mainland. These cheeses are not only good in pasta dishes or on pizzas but also as an integral part of a cheese platter. Pick a pecorino, a blue cheese, camembert or brie and a soft cheese, and you are in for a treat. We enjoyed it as contrast to the other cheeses, and as it was a solid portion left, I placed the leftover in the freezer for later use.